Email has become an embedded part of our lives. We use it for work and we use it for personal reasons. Although it’s convenient, it can be downright addictive and could even be bad for your health. Many people are self-proclaimed addicts to email. It’s tempting to check your email every time you get a notification on your desktop or smartphone. It’s also distracting and can have a negative impact on your workday, and it can get in the way of your ability to relax in the evening. New research has found that how you deal with your daily influx of emails can create unwanted stress and even have harmful health effects. The Future Work Centre recently surveyed close to 2,000 people in various industries. They found that people who typically had access to email all day, using push notification, and who checked their email messages early in the day and late at night exhibited high levels of stress. “Our research shows that email is a double-edged sword,” lead study author Richard MacKinnon says in a statement. “Whilst it can be a valuable communication tool, it’s clear that it’s a source of stress of frustration for many of us. The people who reported it being most useful to them also reported the highest levels of email pressure! But the habits we develop, the emotional reactions we have to messages and the unwritten organisational etiquette around email, combine into a toxic source of stress which could be negatively impacting our productivity and wellbeing,” he says. Keeping your email open all day can not only lead to higher levels of stress, it can also interfere with productivity and make it difficult to escape work once the workday is over. Smartphones have surely made communication easier, but they have also made it more difficult for people to detach, decompress and get away from the stresses they are exposed to during a typical workday. When you are not at work, put your smartphone away. Out of sight, out of mind. Establish a schedule for when you will check email throughout the day. This may vary based on your job. Turn off email notifications on your desktop and all other devices where you check email. Avoid checking email at night before bed. Create some “technology-free” time each day. This will allow you to decompress. 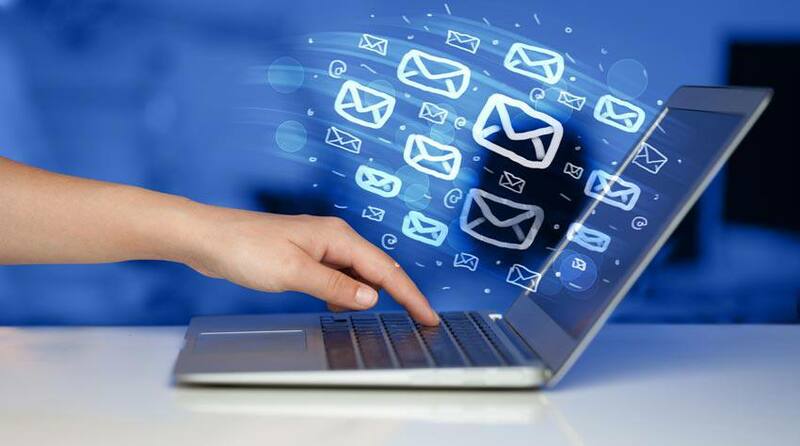 These tips will help you regain control over email, become less reliant and reduce the need to check for messages constantly. They will also reduce your stress level.